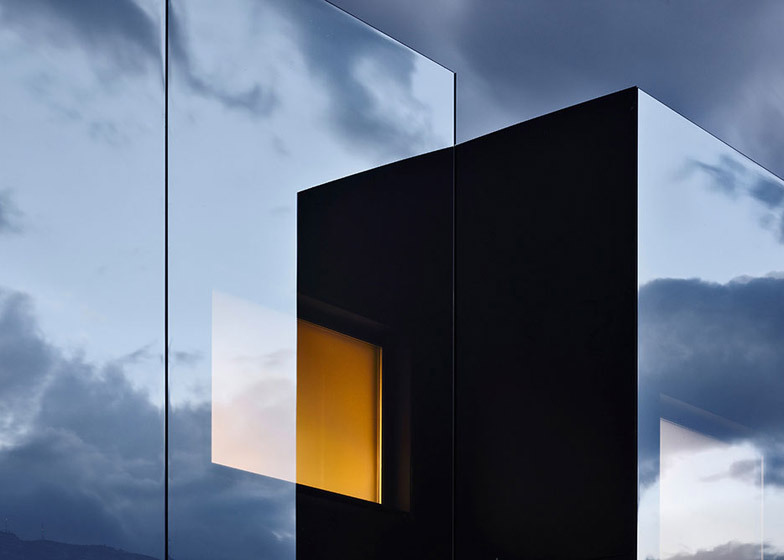 Mirrors create a reflective facade on this pair of holiday homes in the South Tyrolean Dolomites, but have been coated with a glare-reducing film to help prevent bird collisions (+ slideshow). 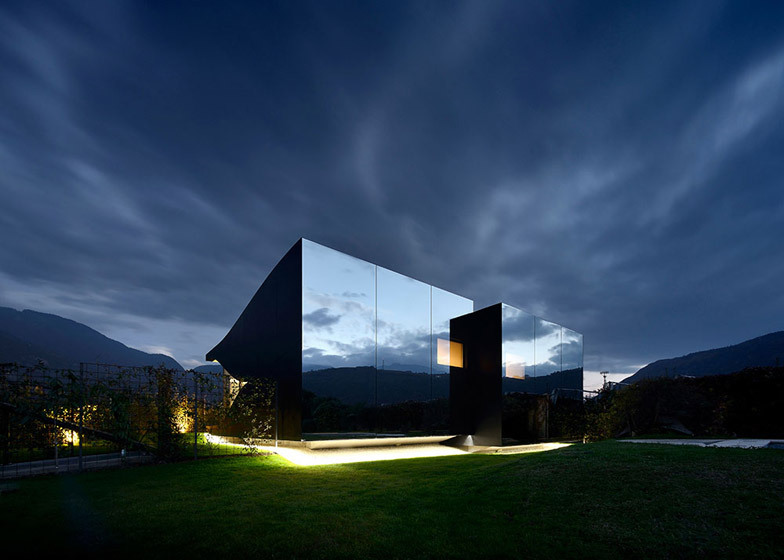 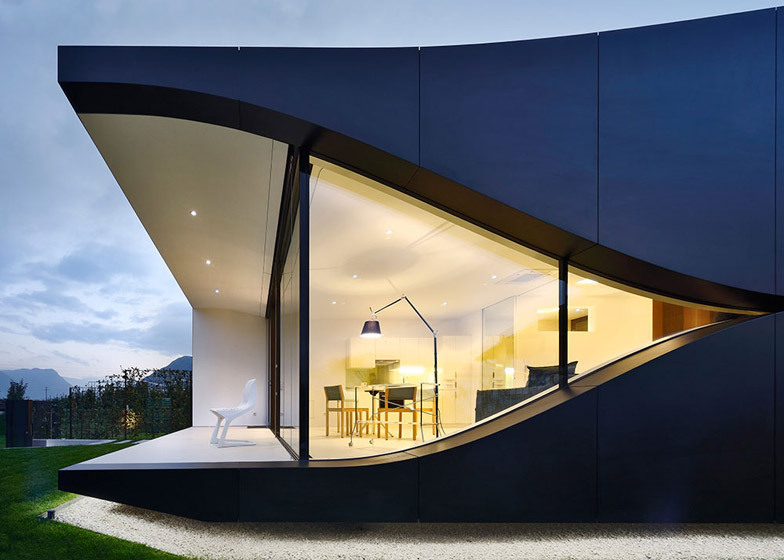 Designed by Italian architect Peter Pichler, the Mirror Houses are two adjoining guesthouses for short-term rent on a farm outside the city of Bolzano, north-east Italy. 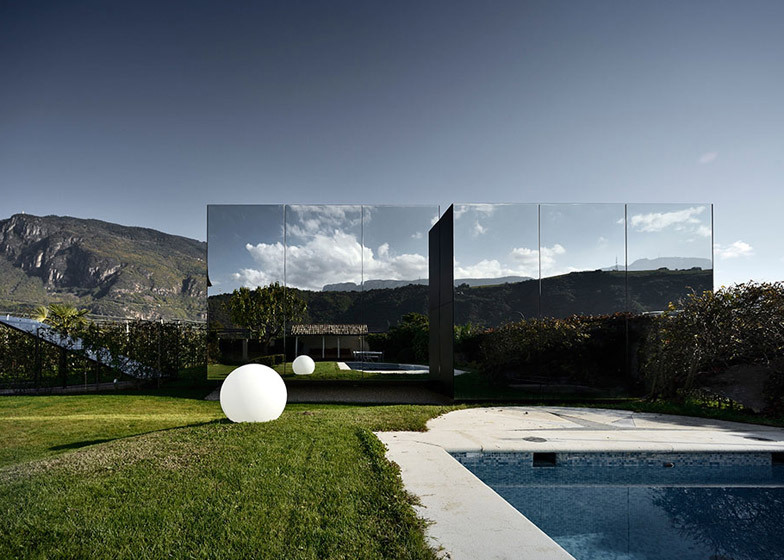 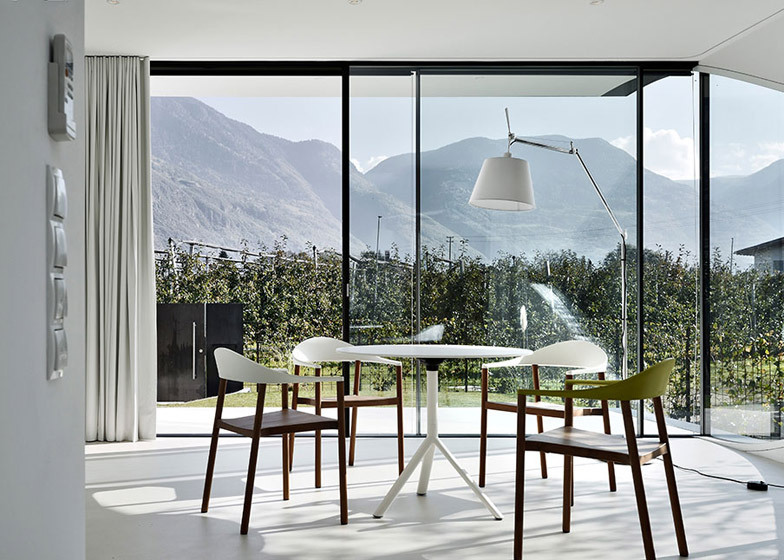 Pichler chose to clad the west facades of the two blocks with mirrors so that they reflect the surrounding mountains. 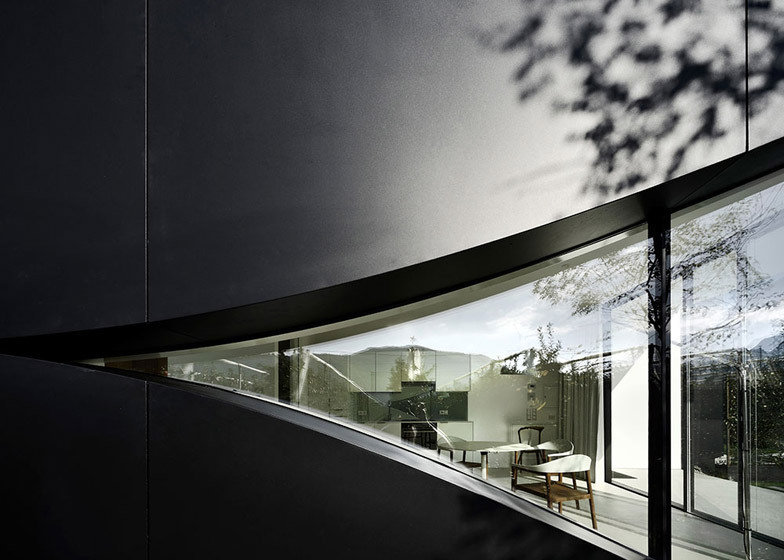 It also makes them less visible from the client's residence – a neighbouring 1960s farmhouse. 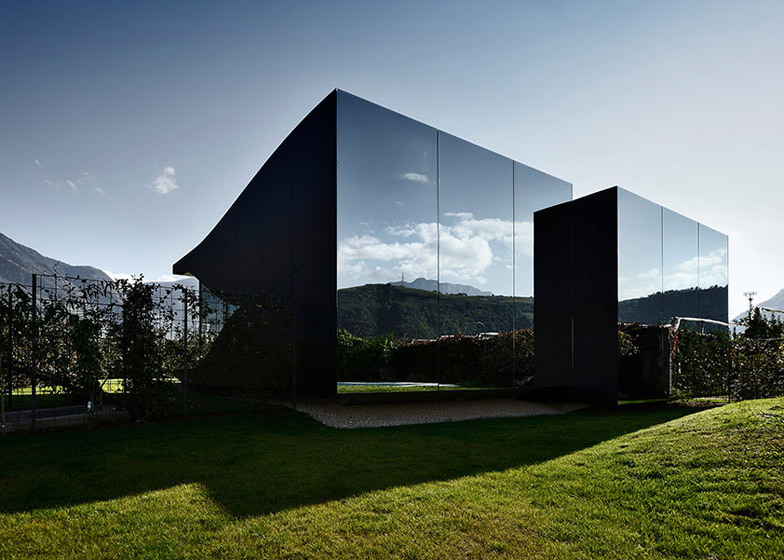 "The client asked us for maximum privacy and wanted the visual impact of the structure to be kept to a minimum," Pichler told Dezeen. 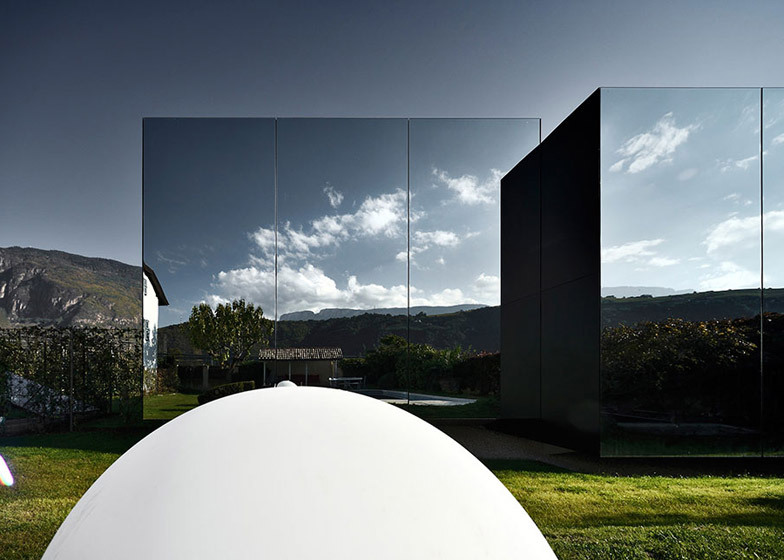 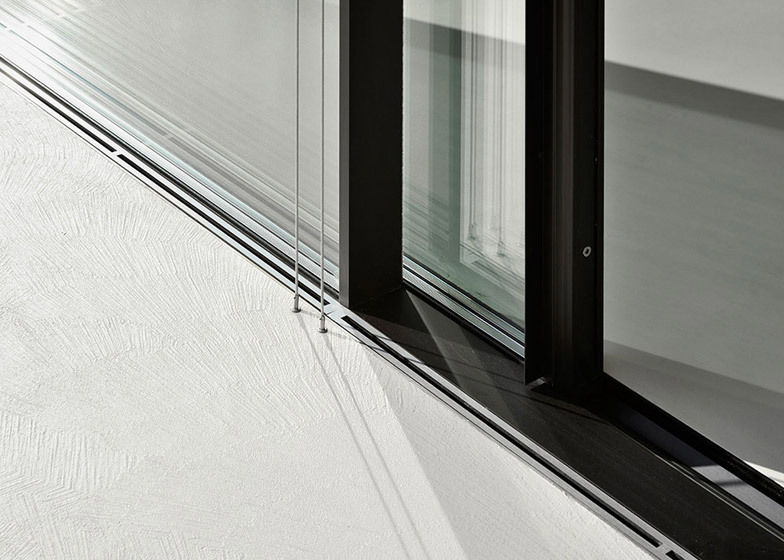 To deter birds from mistaking the reflections for open space and accidentally flying into the surfaces, the mirror-wall is coated with a specially designed film that reduces UV light and glare. 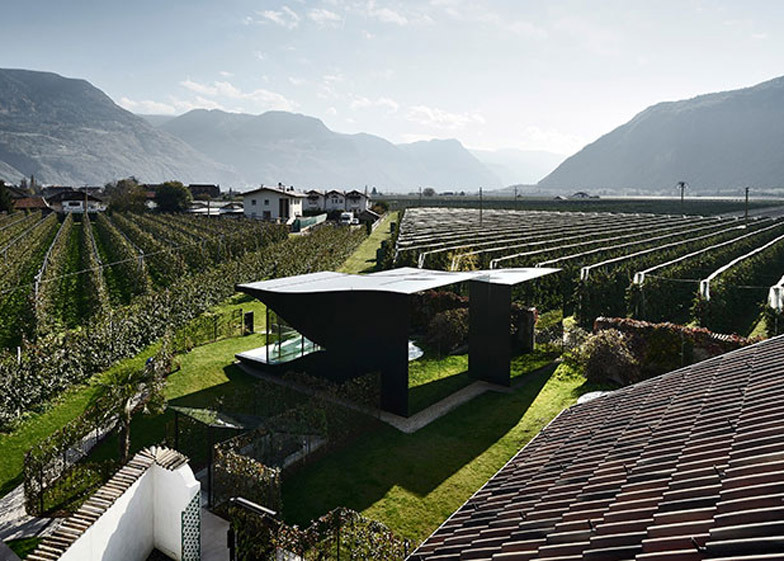 "The mirrored glass is laminated with an UV coating, preventing bird collisions," explained Pichler, whose past projects include a converted 14th-century farmhouse featuring perforated shutters. 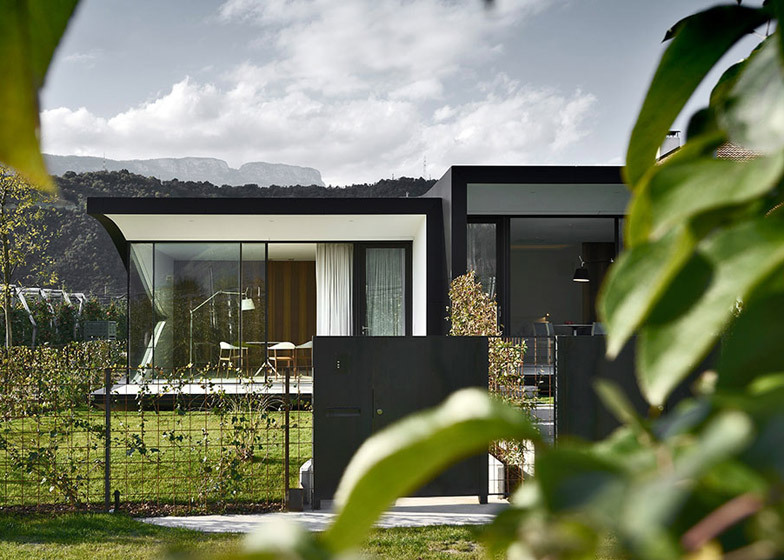 "From certain views of the client's garden the old existing farmhouse is mirrored in the new contemporary architecture and is literally blending into it rather then competing against." 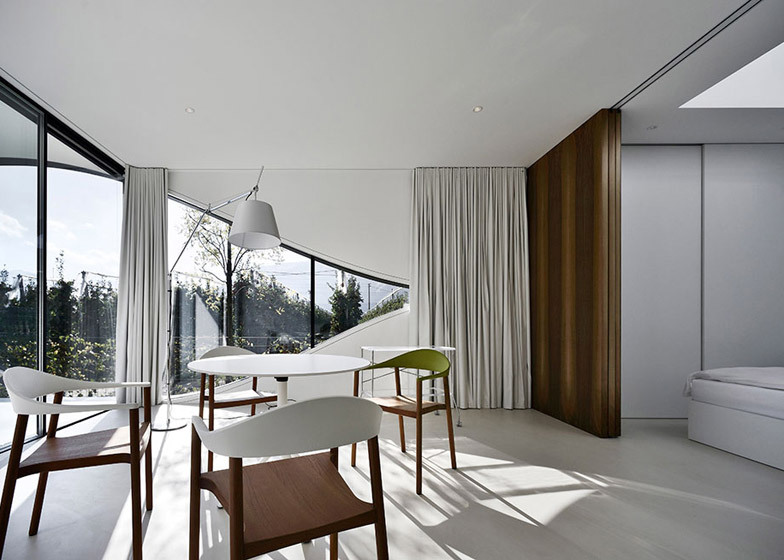 The two blocks are slightly staggered in height and alignment to visually separate them. 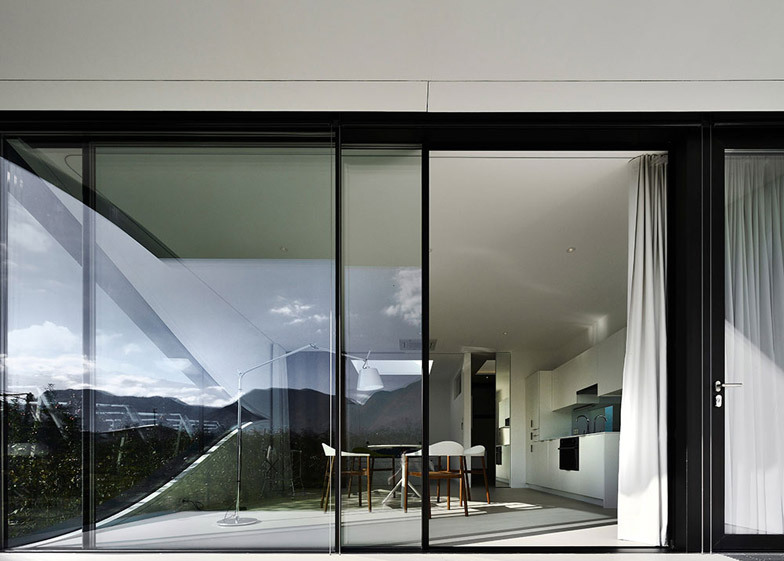 Both feature floor-to-ceiling glazing on their eastern facades so that guests can take in panoramic views of the sunrise. 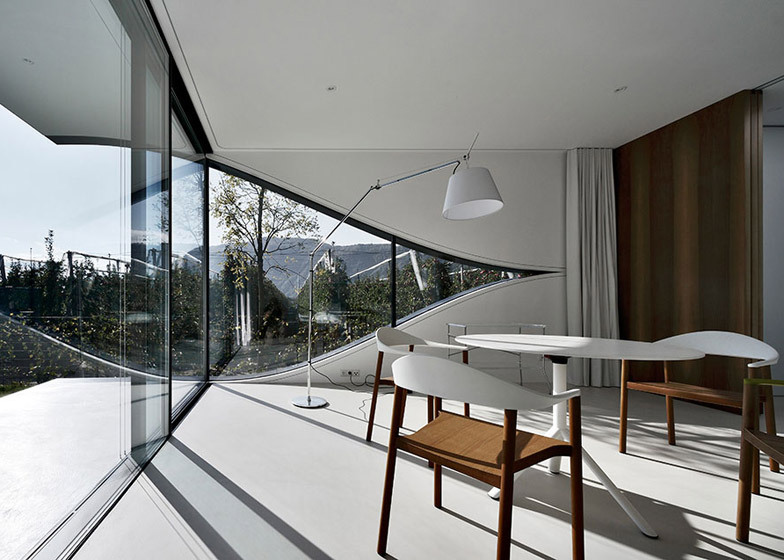 Combined living and dining spaces are positioned directly behind the glass. 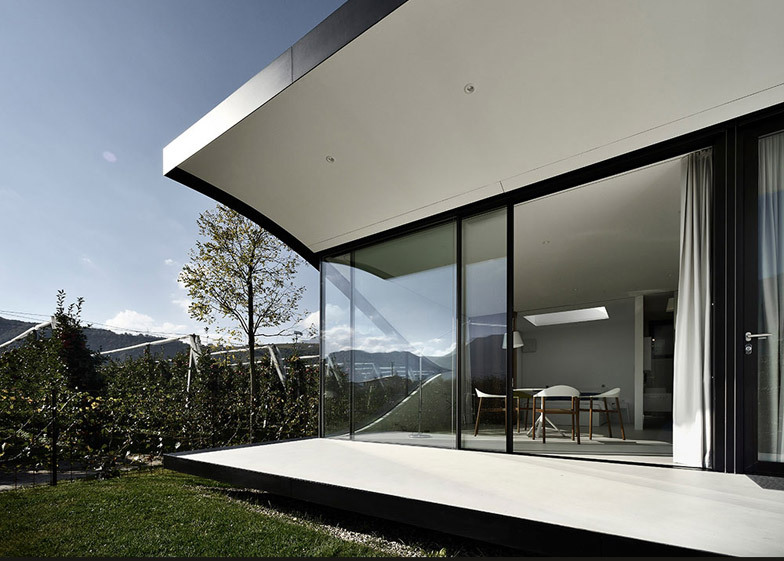 They open out to small terraces that are slightly raised above the landscape. 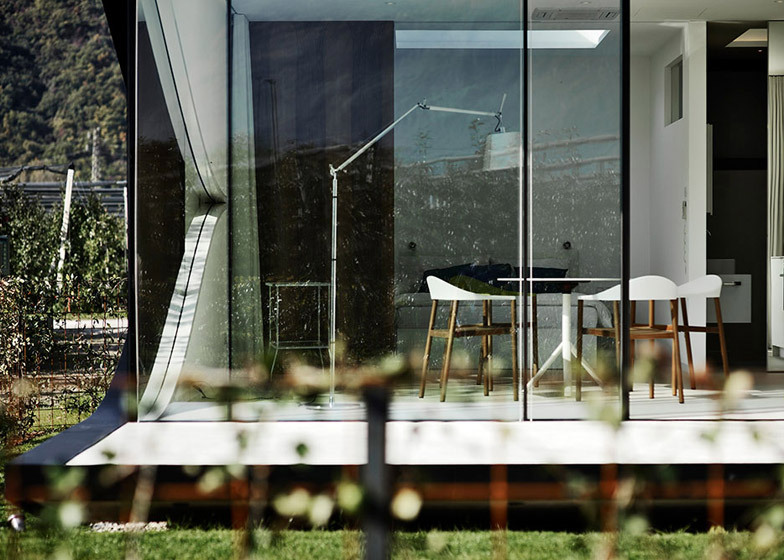 "Guests have their small autonomous apartment and can fully enjoy the experience of living in the middle of nature," added the architect. 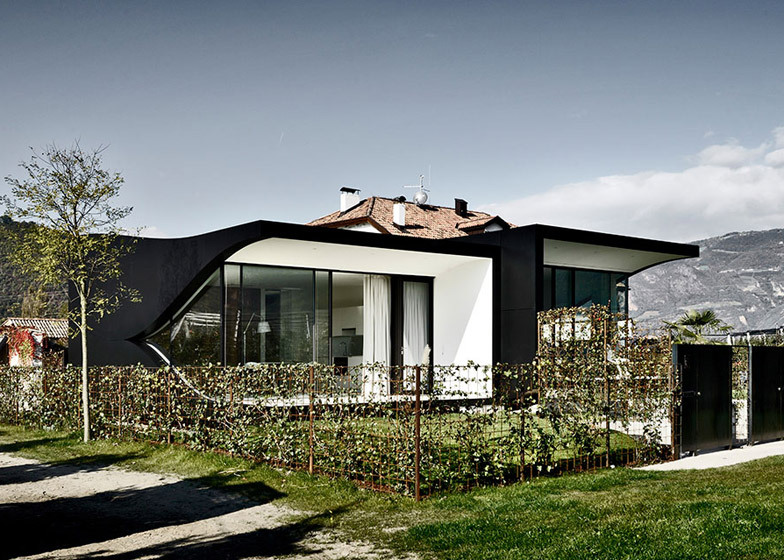 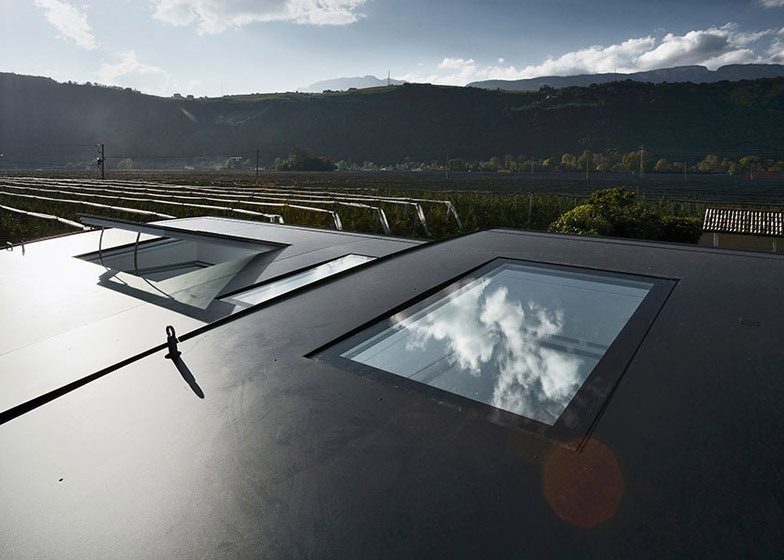 Cantilevered roof canopies shelter the terraces, with smooth profiles that curve down to form a divider between unusually shaped window sections and the black aluminium-clad sidewalls. 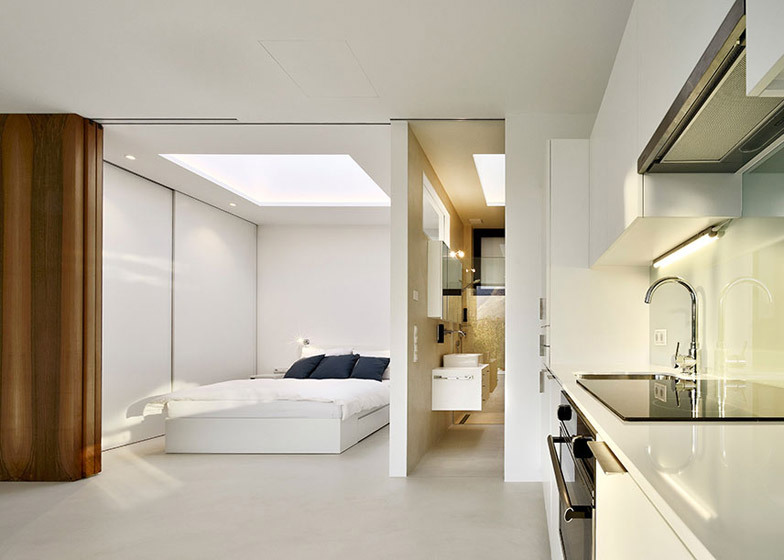 A bedroom and bathroom sit behind the living room of each unit, illuminated by skylights, and temporary storage areas are provided by small basements. 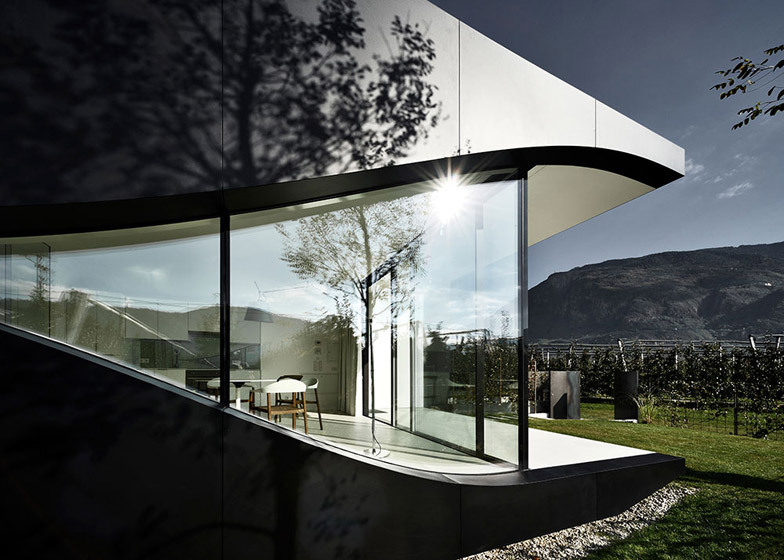 Photography is by Oskar Da Riz.